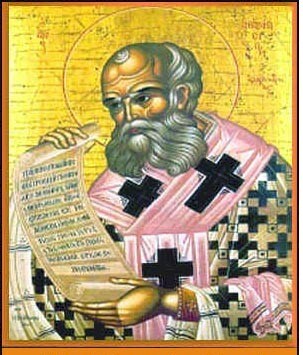 Athanasius of Alexandria is best known for his “Christology” which developed into the orthodox catholic (little c = universal) and Catholic (big C = Roman Catholic) belief and teaching about Jesus. A small amount of research will undoubtedly turn up Athanasius’ belief that Jesus was both fully God and fully man; and that Jesus existed with God the Father from the beginning (John 1:1-3). But you would have to dig a little deeper to discover that Athanasius had a friend with an unfortunate name – Lucifer of Cagliari. (Although it should be noted that the Latin name Lucifer actually means “light-bringing” and Lucifer was so named before the Latin Vulgate translation of Jerome gave the same name to Satan.) In some of their darkest and most dangerous hours, these two bishops supported and fought for each other. Athanasius and Lucifer were friends who had a shared passion. Athanasius was known as the “black dwarf” because of his stature, skin color, and temper. He wrote dozens of treatises, statements of faith, and letters against his opponents, the Arians. He sought to have them denounced by the Church on several occasions and was successful at times. Lucifer is remembered for his “fiery attacks” (no pun intended) against the Arians on several occasions. He could be prone to violence and was often overzealous in discourses against his enemies. Then again, the Arians and their authorities were quite vicious themselves. Neither bishop was known for tactfulness, but they were never accused of lacking candor. One never had to doubt where he or she stood with Athanasius or Lucifer! That’s what makes the portion of the letter below particularly special. I especially love how Athanasius showers Lucifer with compliments that he ultimately connects to the Holy Spirit working in and through his friend’s life. This is authentic companionship in the Lord. To the highly exalted master, who is much loved, and deservedly so; my fellow-Bishop Lucifer. From Athanasius, greeting in the Lord. How good and timely are your encouragements concerning martyrdom! You have shown that death is highly to be desired if it is on behalf of Christ the Son of the living God. What love you have shown for the world to come and for life in heaven! You seem to be a true temple of the Savior, who dwells in you and speaks such effectual words through you, while also giving your discourses such grace. You have been my beloved friend since before everyone else knew about you. Now the same passionate affection with which I have held you has settled in the minds of all of them. So much so that they call you ‘the Elijah of our times’; and no wonder! For if those who seem to be pleasing to God are called ‘Sons of God,’ it seems even more appropriate to give that title to the associates of the Prophets, particularly the Confessors, and especially to you. Believe me, Lucifer, the words that you speak don’t just come from you. They come also from the Holy Spirit who is with you. From where else could someone obtain such a great memory of the Scriptures? From where else could someone develop such an unimpaired sense and understanding of them? From where else could someone find the ability to frame their discourse so well? From where else could you have been given such clear exhortations concerning the ways of heaven, such confidence against the devil, and such great ability to correct the heretics? This could only be because the Holy Spirit has been planted in you. Rejoice, therefore, to see that you have arrived at the same level as your predecessors, the martyrs, who are now among the angels. We rejoice because we have you as an example of valor, patience, and liberty. I am somewhat embarrassed to mention the kind things you have written about me (see Lucifer’s two books entitled pro Athanasio), because I don’t want to appear to be a flatterer. Nevertheless, I know and believe that the Lord Himself, who has revealed all of your knowledge to your holy and religious spirit, will soon reward you for your hard work in the form of a reward in the kingdom of the heavens. May God’s divine grace preserve you, our thoughtful and always blessed friend. You are worthily called a man of God, a servant of Christ, a companion of the Apostles, a comfort to all brothers and sisters in Christ, a master of truth, and in all things most longed for. Athanasius (AD 297-373) is most well-known for his adamant stance that Jesus was “homo-ousios,” or the “same substance” as God (see below for the Arian word change). For this to be true, Athanasius argued, Christ must have existed before Creation with the Father and the Spirit. Contrary to the teachings of his rival Arius, Athanasius maintained: “there was never a time when Christ was not.” Jesus, as the second Person of the Trinity, was fully God. Jesus was not only God, however, He was also a man. According to Athanasius, Jesus must have been fully man in order to take in the sins of the world as an acceptable flesh and blood sacrifice. Athanasius also fought for a closed New Testament canon of 27 books; which incidentally are the same 27 books recognized by the vast majority of Christians, churches, and denominations today. As a result of falling in and out of favor with several Roman emperors, Athanasius was exiled some five times amounting to around 17 total years. 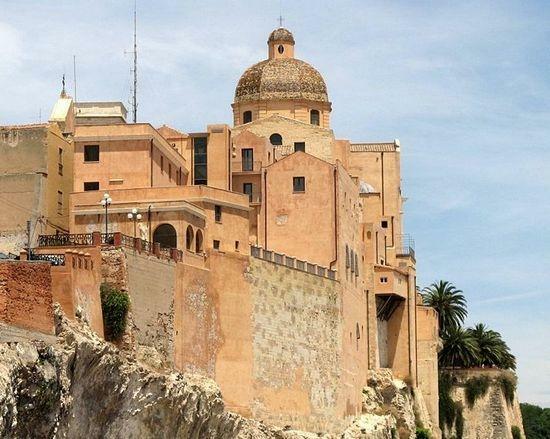 Who was Lucifer of Cagliari? Lucifer (c. AD 300-371) was a bishop who hailed from Cagliari, Sardinia, a large island in the Mediterranean just off the Western coast of the Italian mainland. He is perhaps best remembered because of his friendship with Athanasius, even though it is unclear as to whether how far their correspondence went besides writing to about about one another. Lucifer was not only against Arianism, he was also adamantly against the persecution and maltreatment of his friend Athanasius. At the Council of Milan in 355, Lucifer defended Athanasius so aggressively that it actually resulted in new condemnations against the Alexandrian bishop. Lucifer himself was sent into exile by the Arian-supportive Roman emperor Constantius II, the son of famed Constantine I. After Constantius II died and the emperor Julian (The Apostate) came to power, Lucifer was released to his bishopric in Sardinia where he died. After his death he was granted sainthood, at least as far as the Sardinians are concerned. Jerome (AD 347-420) would later criticize Lucifer’s followers, the Luciferians, for being somewhat fanatical. PHOTO: (background)The Church of St. Lucifer in Cagliari, the capital of Sardinia. Who were the fourth century Arians? Arianism is attributed to the teachings of Arius (c. AD 256–336). Among other things, the Arians essentially taught that Jesus was not in fact of the same kind of divinity as God the Father. The Arians argued, thereore, that there was a time when Jesus did not exist. Rather than “homo-ousios,” or the “same substance” as God the Father, the Arians maintained that Jesus was “homoi-ousious,” or a “similar substance.” A small variance in spelling produced a very different meaning. They also argued that since Jesus was called God’s son, He must have been created by God the Father at some point. He was not with God from the beginning and therefore was not God at all. Athanasius, Lucifer, and their cohorts from Alexandria were strongly opposed to such teaching and considered it heresy. 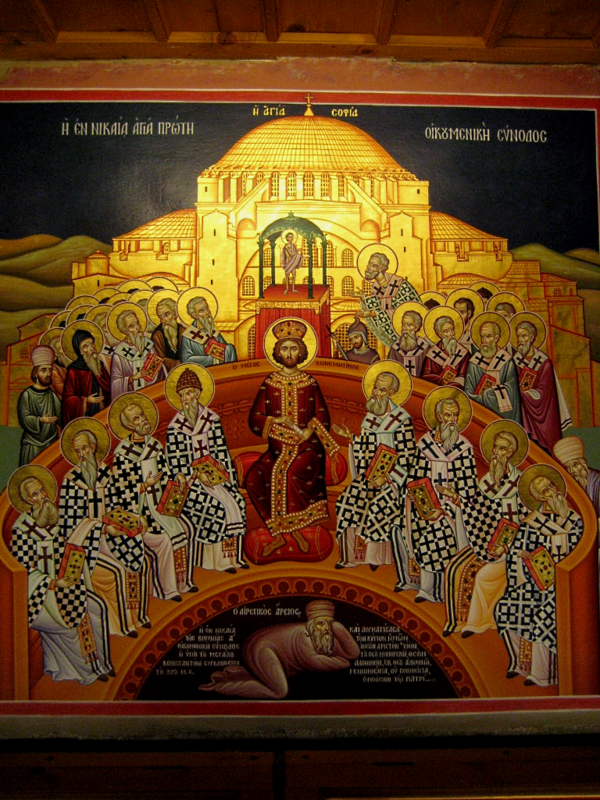 The Arians were disavowed at the Council of Nicea (AD 325), but resurged after the death of Constantine I. Eventually, however, the Alexandrian orthodoxy of Athanasius became the official Christology of the Roman Catholic Church. Good stuff, Eric-I love these early church stories; it was a violent time, even between fueding bishops cross-purposed in doctrine. Have you read “Cult of the Saints” by Peter Brown?-shows a different side, the people-in-the-pew level of Christian practice.